This easy smoothie recipe gives you an all natural energy boost! 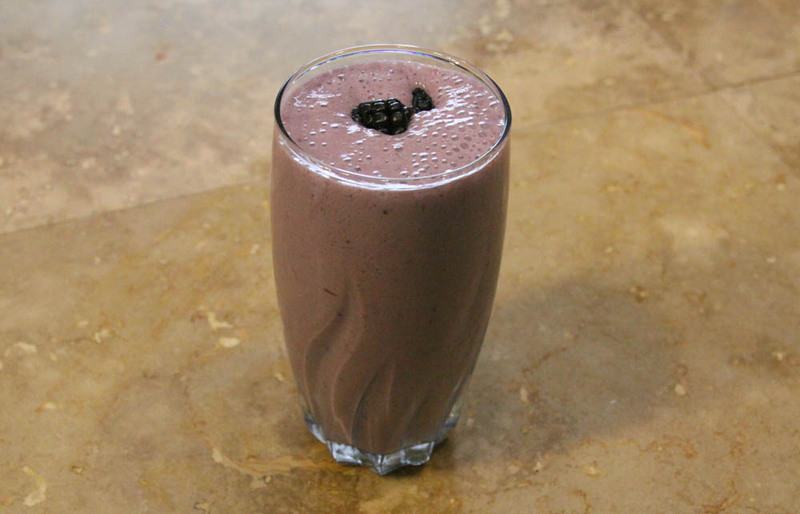 This smoothie falls right in the meal replacement sweet spot where you are getting enough calories to satiate your hunger, but not so much that you are going to put on weight. This also has less sugar (believe it or not) than your average energy drink, which has about 55g. Plus the sugar from a smoothie like this comes from fructose (fruit) rather than a can. So, this is the perfect pick-me-up to help wean you off of the usual morning energy drink or coffee. But this has too much X, Y, or Z for me! Alright, alright. This is a flexible recipe! I want less sugar or calories. Okay, start by cutting the banana and halve the milk down to 3/4 C. This brings you down to 231 calories, 16g of carbs (9 is from the milk). This is pretty low cal, which is fine if you are a light eater. But you may be hungry very soon. If you are just worried about the sugar, I would make the previous changes and add more protein powder to keep the calories back up. You may need to thin this mixture out with ice or water. Another option is to double the energy powder and just drink half. This would give you all the energy and half the calories. This recipe actually makes 3-4 C of smoothie, so you could probably afford to cut it in half if you are a light eater. 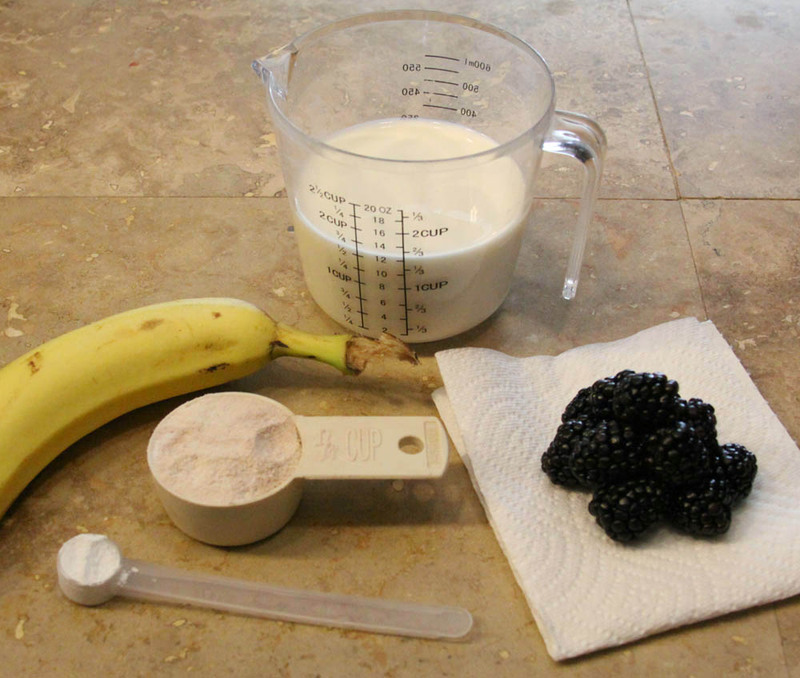 If you are looking for a weight loss solution, I would cut the banana and reduce the berries to 1/4 cup. When going for weight loss, you want to feel full (fat and protein does that), but not stimulate a negative insulin response (avoid sugar). I want less fat or am lactose intolerant. The fat comes from the milk. If you are used to dodging fat, I’m sure you have a go-to milk replacement, like soy/almond milk. Same goes for the lactose intolerant folk. I don’t need 200mg of caffeine. Yes, some people don’t. If you’re caffeine sensitive, I would start with a half serving. You could skip the Mettle Energy Powder, but then you are missing out on the Vitamin B complex and other nutrients. We put it in because it works! Try our other energy shot flavors like Green Apple, Sour Blue Raspberry, and Strawberry Lemonade. We have more flavors available as a regular energy drink mix as well. And we’ll have more recipes forthcoming. Mettle Energy powder offers an affordable alternative to the big brand energy drinks. Our powdered energy drink/shot mixes are designed to replace your current drink/shot of choice. They are all sugar free and cost as little as 40¢ per shot! Our mixes taste great and mix up to 16oz drinks or 2 oz shots. Limit to 2 servings per day, at least 6 hours apart. Not recommended for children, those sensitive to caffeine, or if you are taking medication or have a medical condition. Do not use if you are pregnant or nursing. 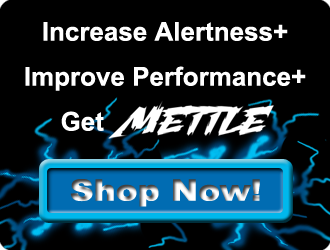 Mettle Energy products contain caffeine comparable to a cup of premium brewed coffee. Limit caffeine products to avoid jitters, sleeplessness, nervousness, and rapid heartbeat. Mettle Energy contains niacin; some people may experience a niacin flush (hot feeling, redness of skin) that lasts for a few minutes, caused by temporary increased blood flow.Phenylketonurics: Contains phenylalanine.